The luxury car brand, Land Rover today announced the delivery of the iconic Range Rover to the legendary super-star of Indian Cinema, Mr. Amitabh Bachchan. Range Rover is the flagship of the Land Rover brand and is built on a legacy which represents the very pinnacle of refinement and British craftsmanship. More specifically, the Autobiography derivatives of Range Rover sit absolutely at the top of the personalisation and luxury ladder. 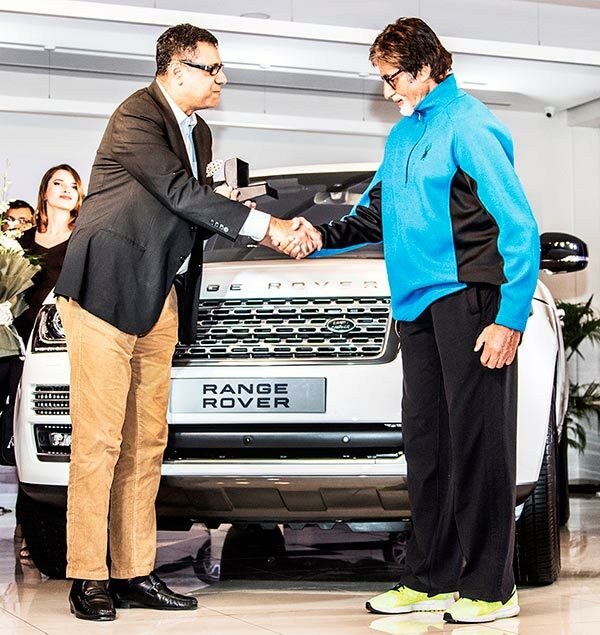 Over the last 45 years, The Range Rover has gained an iconic status in the high-end SUV market across the world and we are thrilled to have the ultimate icon of Indian Cinema, Mr. Amitabh Bachchan, as a valuable customer of The Range Rover. The Land Rover range in India includes the flagship Range Rover (starting at INR 207 Lacs in CBU form), Range Rover Sport (starting at INR 116 Lacs in CBU form) and Discovery 4 (starting at INR 111 Lacs in CBU form), Discovery Sport (starting at INR 46.10 Lacs) and Range Rover Evoque (starting at INR 47.10 Lacs). All prices mentioned are ex – Mumbai (Pre Octroi). Land Rover vehicles are available in India through 23 authorised outlets in Ahmedabad, Aurangabad, Bengaluru, Bhubaneswar, Chandigarh, Chennai, Coimbatore, Delhi, Gurgaon, Hyderabad, Indore, Jaipur, Kolkata, Kochi, Karnal, Lucknow, Ludhiana, Mangalore, Mumbai, Nagpur, Pune and Raipur.